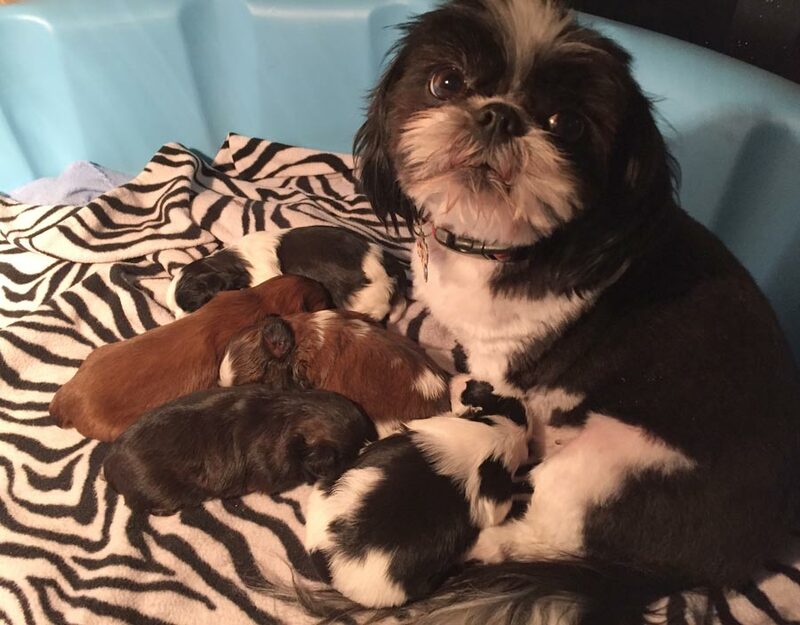 I have five new purebred Shih Tzu babies. 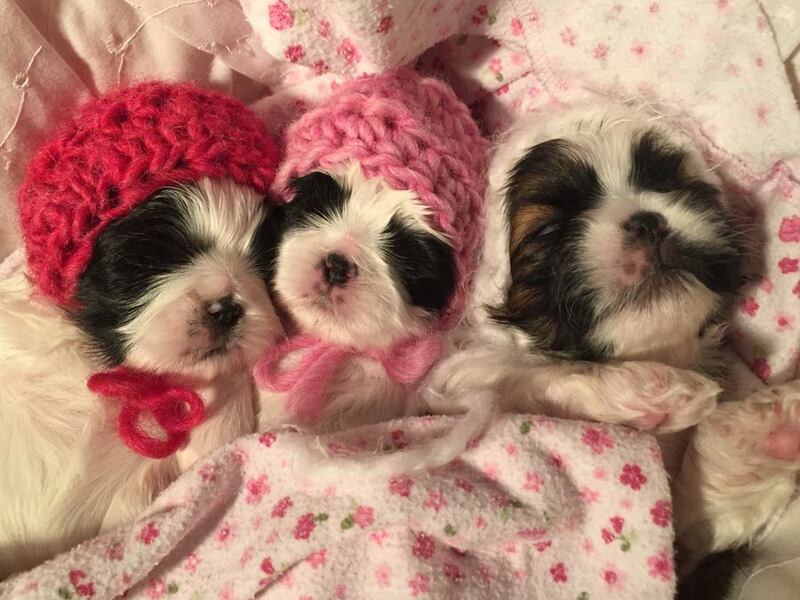 They are three weeks old. 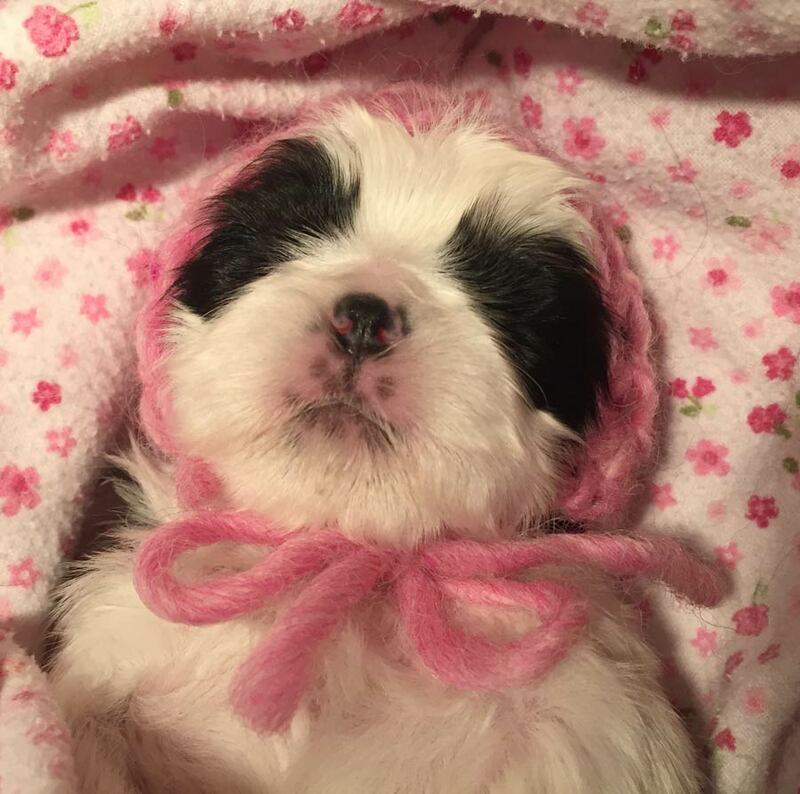 The pups’ names are Jeff, Ginger, Macy, Ruby and Zoe (pictured above). 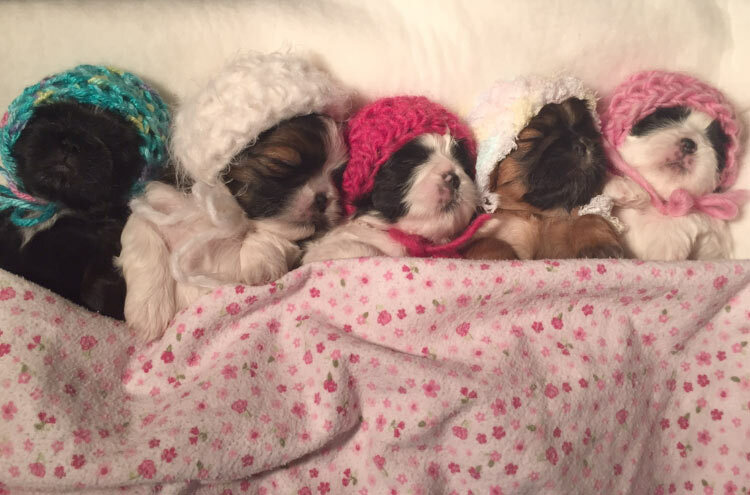 It was quite a challenge getting them all in the hats that I made, and to capture a photo with them all asleep at the same time! Submitted by Suzan K.